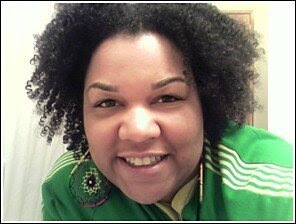 Carmen's Blog: Why Did You Get Sisterlocks? Why Did You Get Sisterlocks? I've been told a few times that when my locks finally grow up that they will look like traditional locks. My come back to that comment is, "I really would like to have Lisa Bonet's locks." So why didn't I go for a free form locks? I'm a punk. It takes some big balls to do them. Why did I get Sisterlocks? I tried twists and braids. They unraveled hideously. When I read about Sisterlocks and the unique interwoven pattern, and that I could shampoo whenever, I knew that was what I needed. Why did I get locks? Because one day my hair would look like this. My eyebrows looked so good! The next day it would look like this. 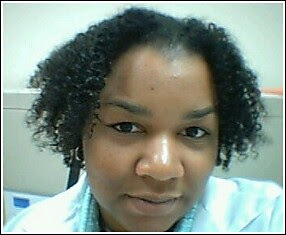 If I wanted my hair to look like this (pic above) everyday, then I would have to no-poo and put heavy grease on it. It became too much work to detangle and my hair was breaking off. Aww. Sad day. In an effort to save my hair, I decided to lock. In short, I did it because I like my hair. I didn't do it for looks. 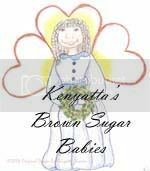 I did it to stay natural and to rid myself of detangling. I think it was the next step on the ladder of being natural. I was like you. I did the no-poo, went out in winter with wet hair, I disliked that. Then I would have to fight freeze or blow out my hair for an afro. After that and actually before that, I did cornrows with both my hair and weave. I did sewn in weaves; I also went to the Dominicans for "doobies" before I tried traditional locks. They grew large and heavy. And I was back to where I started with the no-poo. Sisterlocks seemed like the thing to do to have a daily low maintenance natural style without the heaviness of traditional locks or products. 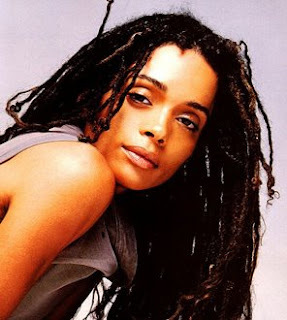 Lisa Bonet was definitely an inspiration. I would not have attempted locks if it weren't for her. My initial journey started with the intention of me getting locs but now I have so much fun with free-flowing, I decided to postpone locs but I'm still looking forward to that day. How are you maintaing? Can you wet them as often as you like without them unraveling? I had the hardest time with my natural hair because I have two textures on my head. 3a/b in the front and 3c/4a in the back. It was such a pain. I'm transitioning now because I have a greater knowledge of natural hair care products and I hope this will make all of the difference. I am loving my locks, I have been wearing them for about 13 years now. I have cut them twice and Yes they do get heavy. My sis in law has had sister locs for about 8 years and her hair is down her back. My daughter also has locks you can see her on my blog. It is a freedom I can't describe. I am 57 now and my locks are gray, I get a lot of compliments and also alot of strange looks, not too many women my age wear locks. I was mine all the time. Sometimes I curl them. I got sls cos I wanted better coverage than traditional locs gave me, I liked the look, and my braidlocs were getting too heavy. I always wanted micro locs although I don't really like them too tiny- like 600 locs. I think they look nice on others,but might be dangerously thin for me, not to mention the hours it probably takes to retighten. It will be interesting to see how your 'carmen-sls' turn out. I've always like traditional locks, but didn't have enough gumption to cut my hair and start palm rolling or twisting and facing that madness. Eventually, though, I ran out. My hair got too long to continue wearing a fro in a corporate environment. I resorted to pressing and next came breakage. Started twisting and that got old. So I made the plunge to lockdom. Haven't looked back. It just feels...right. Nice post! I had the same problems when I tried to get traditional locks, the unravelling, using that "hard to twist" gel. I too am happy with my decision. as u know i have bl's BUT i locked for the same reason as you...to save my hair! i had to beat the viscous cycle of breakage and growth from protective styles, to loose. so here we is! Ladies, thank you for sharing your stories. I think it's good to let others know that it's not all about looks. 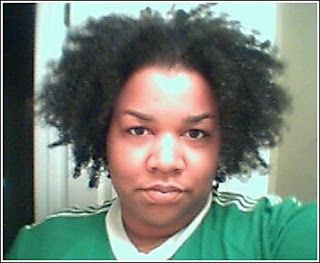 Going natural and/or getting locks how you feel about yourself and your hair. Hey, we can't help it if just happens to look absolutely beautiful too.